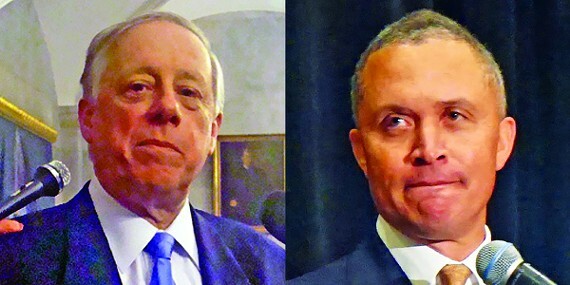 Ford in the future, Bredesen in the present, and Fincher versus Blackburn? 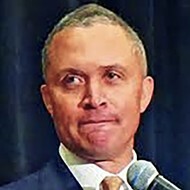 A longtime intimate of Harold Ford Jr. was asked the other day if the former Memphis congressman — who, as the Democratic nominee in 2006, lost a U.S. Senate race to Republican Bob Corker by a hair's breadth — would trade the wealth and standing he has since acquired on Wall Street for the alternate biography that would have followed from a win over Corker. The answer was quick and unequivocal: "In a minute." He might have said, but didn't, "In a New York minute," since the Empire State has, for some years now, been Ford's abode. The man, who had worked in close harness with Ford for the duration of his political career in Tennessee, went on to say, "He wanted to be president." Should "wanted" be "wants"? Whether it is a matter of his own uncooked seeds or just that various political talk shows want access to his expertise and/or residual star quality, Ford is a staple these days on cable TV — a frequent guest, for example, on MSNBC's Morning Joe show, where he offers informed centrist commentary when queried on topical issues and affairs of state by the show's host. Joe Scarborough is often peremptory with his guests but usually deferential with Ford, whom he refers to familiarly as Harold. 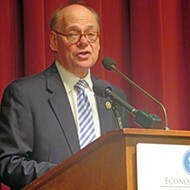 Upon the close of a recent colloquy with Ford, Scarborough, a former GOP congressman from Florida during the Tennessee Democrat's own time there but an independent now and a member-in-good-standing of the resistance to Trump, smiled fondly and declared that Ford just might be the man to close the gap between right and left factions in the opposition. The same note was also struck recently on an installment of Real Time With Bill Maher, when the eponymous host ended a group discussion that included Ford with a statement to the effect that he and the audience could be looking at the Democrat who could mount a successful challenge to Trump. It must be said that in neither case did Ford respond with either a mock protest to the idea or a concurrence with it. With a certain modesty, he just allowed the sentiment to be expressed, while there were detectable murmurs of assent from others onstage or in the studio audience. But how? Ford, no longer an office-holder, lacks the usual political perch from which a bid for national office could be mounted. Just after his loss in 2006, in a race that saw him featured on the cover of Time as a possible avatar of something new in national politics, Ford taught politics at Vanderbilt University in Nashville and became titular head of the Democratic Leadership Council (DLC), a center-to-right party organization that had been the launching pad for Bill Clinton's own ascent to the presidency. As Democratic politics shifted leftward during those years of a George W. Bush Republican administration, the DLC ceased to be much of a force and eventually ceased to be, period. Meanwhile, too, a new and ambitious young senator from Illinois named Barack Obama had seized the limelight and, along with it, first dibs on a quest to become the first black president (an honor Ford's supporters had long assumed to be his). Ford's views on fiscal matters had always tilted surprisingly rightward for a Democrat, and an African-American in particular. Indeed, that fact had been a sticking point with self-styled progressive Democrats in Tennessee and something of a brake on their ardor in Ford's contest with Corker. 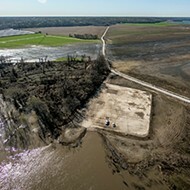 But those views were consistent with Ford's next move, which was to New York and Wall Street, where, a married man now with a family, he works as a rainmaker and managing director for the Morgan Stanley brokerage firm. Early on in his New York residence, Ford took a flyer at a possible run for the Senate seat held there by fellow Democrat Kirsten Gillebrand, but the conservative social views he had expressed as a candidate in Tennessee worked against him in New York despite his efforts to update them in conformity with his new milieu, and he was forced to abandon his trial run. So whither now? Lack of an office in government did not hinder Trump's political ambitions, but Ford, for all his ubiquity on cable, is not on the same plane as a national celebrity. Ironically, were native son and periodic Memphis visitor Harold Ford still an official Tennessean, he might be the subject of renewed blandishments from Democrats anxious to field a candidate for the Senate seat which Ford's former opponent Corker is abandoning. That may be happening, anyhow. • Meanwhile, there is continued action in Tennessee on the Senate front and another possible blast from the past for Democrats, with no residential barrier to running. 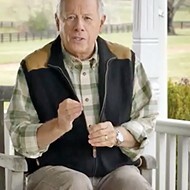 Now, prodded by some of the aforesaid desperate Democrats — and notably by party moneyman Bill Freeman of Nashville — Bredesen announced Monday that, despite an earlier rejection of the idea, he is thinking seriously about a Senate run. Watch that space! 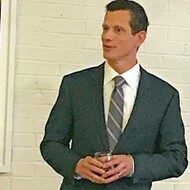 Last week, prior to Bredesen's statement, James Mackler, the Nashville lawyer and Iraq war vet who is already a declared Democratic candidate, was the beneficiary of a fund-raiser at the East Memphis home of Brice Timmons, where he demonstrated significant gifts as a speechmaker, articulating a lively point-by-point case against both putative GOP nominee Marsha Blackburn and President Trump. 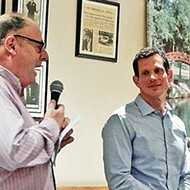 Mackler's affair drew a fair number of longtime Democratic activists and donors. On the Republican side, the former 8th District Republican congressman Stephen Fincher is serious enough about a possible Senate run — despite the presence in the race already of a like-minded conservative, 7th District U.S. Rep. Blackburn — to have embarked on a statewide "listening tour" which took him to Memphis this week. More about that anon.